A Word from our Guests. Submitted by giorgio on 05/28/2016. Submitted by admin on 06/11/2014. 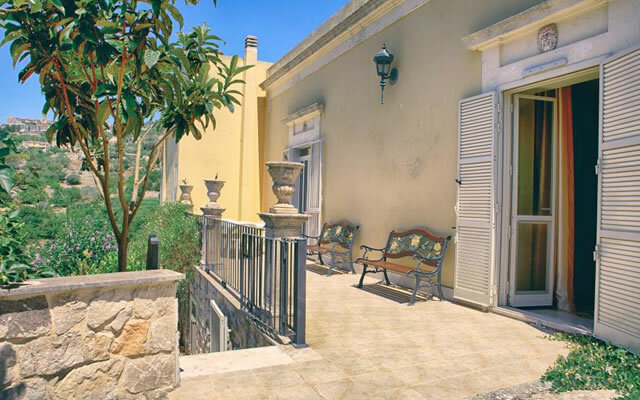 Located in Modica – the chocolate capital of Sicily - with 4 bedrooms. 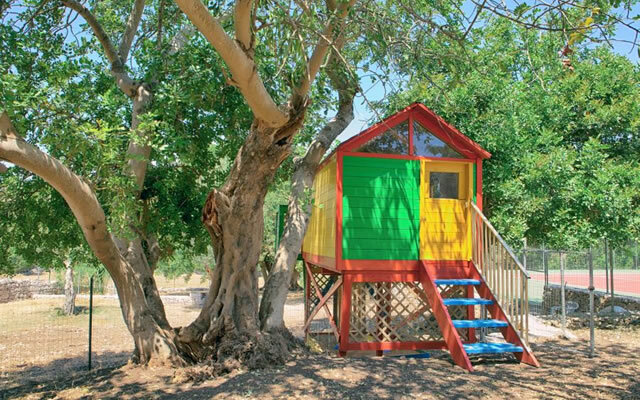 3 1/2 bathrooms, swimming pool, kitchen, gardens… Indoor dining, outdoor dining… It almost looked too good to be true. I sent off an email inquiry and received a reply back immediately from the owner, George. How little did I know that that simple email was going to set off a chain of events that culminated in possibly the best and most relaxing vacation we have ever had. The villa is stunning. The grounds are beautiful. 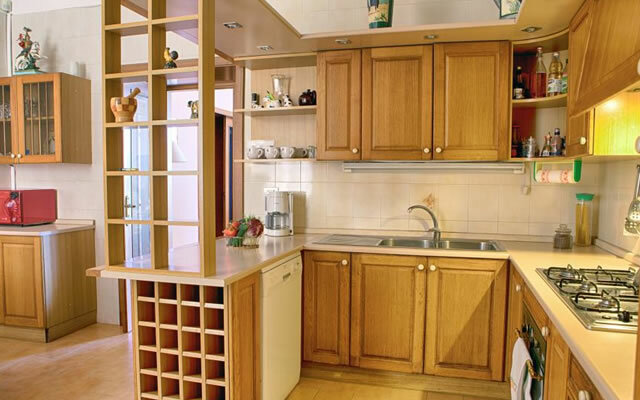 Everything is a mixture of new and old – with all of the modern conveniences. But the real gem of Villa Modica is the owner, George – and his attention to detail and ability to read his guests and fulfill their every wish. From ricotta-making and wine tasting to some of the best seafood I have ever eaten, or directions to anywhere, George was there. He was available and completely unobtrusive. But more than anything else, he was real and genuine and exuded warmth and friendliness. There is nothing phony or contrived about him. He is more than willing to go out of his way to make your visit unforgettable. Actually, I should rephrase that – nothing is out of his way. I’d love to have him as my neighbor. The villa is situated a couple of kilometers from the center of town – rural without being isolated – and in a valley that shimmers with the lights above. Everything you need is within reach – with the ultimate in privacy. The rooms are all good sized and six of us were never im each others way. 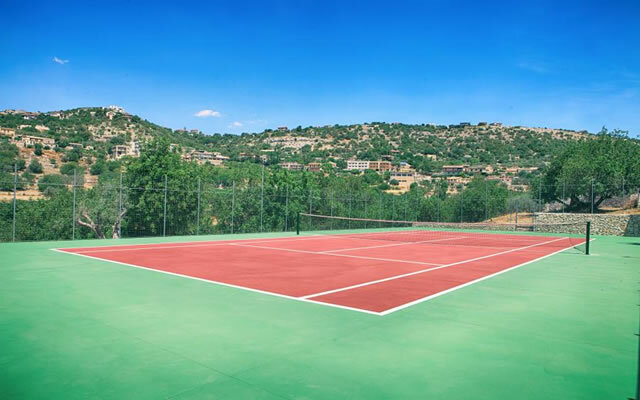 One could move off to a different section of the villa or out to the extensive grounds and enjoy the quiet and solitude – or join in a raucous game of cards in the over-sized kitchen, outdoor eating area, or in the gazebo by the pool. The grounds are full of organic produce for the eating, from artichokes to lemons, numerous herbs, grapes, wild fennel… we had stuffed artichokes one night. Best I’ve ever had. And best I’ve ever had can be said of so much of our stay. From the dinner that was awaiting us when we arrived – homemade lasagne, sausages, potatoes, and peppers, and more wine than we could consume – to the relaxation by the pool and listening to the quiet. No hidden costs, no surprises. I can’t wait to go back. Submitted by giorgio on 10/08/2013. Submitted by Anonymous on 06/11/2012. Thank you so much Giorgio for making our stay at Villa Modica one to remember forever! Everything at the villa was impeccable, from the breathtaking views to the gorgeous pool, to the fresh picks from the gardens and the soft aroma of jasmine throughout the property. My family and I had the best time and really cannot wait to return! The trip to the ricotta farm and winery was one I have been raving about ever since! Giorgio was the best host one could possibly ask for- the house was equipped with more than anyone could need, and if you happened to require anything else Giorgio was more than happy to help. Although the pictures are great you really cannot grasp the beauty of the villa unless you see it in person. It is extremely spread out and comfortable, and easily can sleep 10 without feeling cramped, and the grounds are truly stunning. We spent most days by the beautiful pool and in town where Giorgio showed us the top picks for food, shopping, wine, etc. Our stay was so wonderful we've already booked next year! Thank you Giorgio and Antonella for an unforgettable experience- we got to see the REAL Sicily and loved every minute of it! Submitted by Anonymous on 08/05/2011. Nevertheless, although it was a short stay, it will not be our last visit. Along with the great memories we hold in our hearts while staying there, we have formed a wonderful friendship with Giorgio that hopefully will last a lifetime. Not to mention the friendship my daughter and his son started as well! Thank you once again our dear friends, and until the next time!!!! Submitted by Anonymous on 06/10/2011. We stayed in Villa Modica in early June this year. It was an excellent house, probably the best we have ever stayed in. We were 3 adults and 2 children (4 years and the other 20months). The house is huge with 4 large bedrooms, 2 good bathrooms, very good kitchen -it had everything we needed. The pool is fantastic and all entrances are gated which was excellent for us.There is a lovely covered terrace which was great for shelter on hot days. Giorgio, who owns the villa, was extremely helpful. His wife had prepared a lovely meal for us when we arrived and they had stocked the fridge and presses - really great as we arrived on a Sunday when the shops were closed. Giorgio was never intrusive but was on hand whenever we needed to check anything. The area is lovely with nice towns to visit and there is a nice beach about 15-20 mins drive away. We would definately recommend this as a place to stay. Submitted by Anonymous on 10/26/2010. I had to come back to the Villa! It had been two years and we needed a rest. The Villa is a piece of Eden and Georgio cannot be a better host. Between days resting by the pool or cooking fresh Italian vegetables, cheeses and pasta in the large kitchen, we take day trips to wonderful places. Today we went to DonnaFugatta Castle where scenes of the Leopard were filmed, preceded by a trip to the beach. A must see. 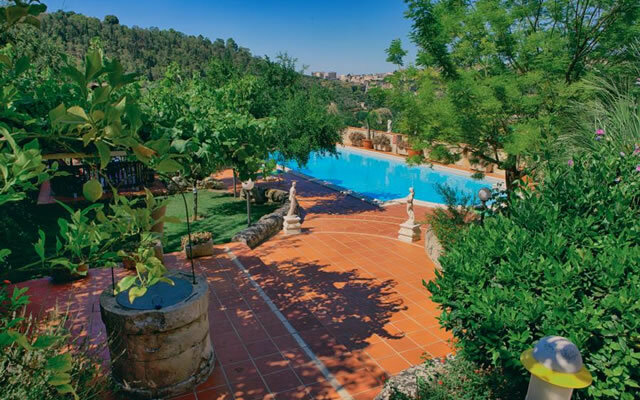 We highly recommend the Villa Modica. Submitted by Anonymous on 06/20/2010. We have just returned from a wonderful week at Villa Modica. 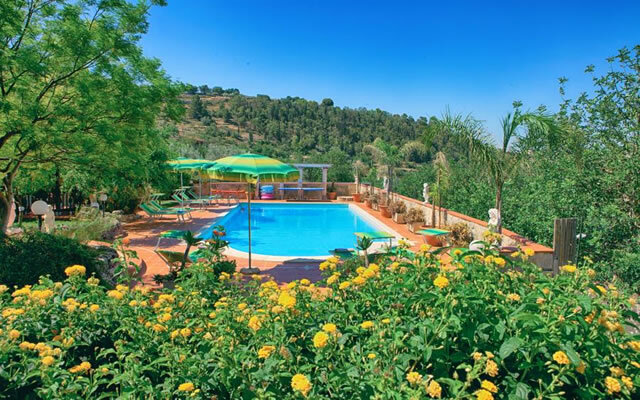 The villa is really lovely, exactly as described and as pictured on the website - clean, spacious, very well equipped and well presented with lovely gardens and, of course, a fantastic pool with those views over Modica itself. Rest assured, you will not be disappointed! Giorgio (who speaks fluent English) could not have been more helpful (very friendly, but never intrusive) and he made us feel very welcome. 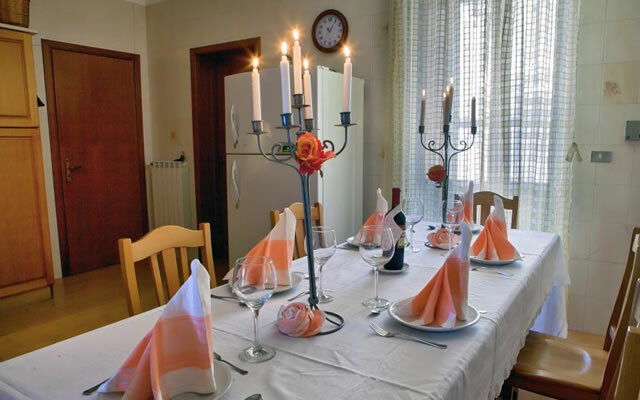 There was a meal and wine waiting for us on our arrival and the provisions which were left for us were very generous. He gave recommendations for local restaurants and we enjoyed several meals out (at very reasonable prices - we had the impression that Sicily would be expensive, but it is not). The rest of the time we made good use of the barbecue and ate alfresco in the gardens, enjoying the views of Modica. The villa is a very short drive from Modica - while it is not not really walkable on a regular basis, two of our group did make the interesting round trip on foot of about 6 miles going from the villa, across to the old town, then meandering down through the narrow medieval streets to the main town and then back up the road to the villa. Trips out - there are many lovely towns to see - we visited Noto, Syracuse/Ortygia and of course Modica itself (with its numerous chocolate shops...) during our week. Marina di Modica has a very nice sandy beach and is only a short drive away. We also ventured further afield to the Valley of Temples at Agrigento with its stunning Greek Temples, just over 2 hours away. Caltagirone with its colourful tiled staircase is excellent for ceramic gifts and mementoes to take home. A number of reviewers have mentioned the driving. It is definitely a different style of driving, but if you keep your wits about you (and don't hire anything too big if you can avoid it!) you will be fine. Submitted by Anonymous on 10/05/2009. We enjoyed a wonderful 2 weeks in Villa Modica in July. It was perfect for our family group of 3 grandparents, 2 adult children and 3 young grandchildren. Giorgio (who speaks fluent English) is a great host who provides an outstanding service, ensuring that his guests are very well looked after and everything is perfectly in order. The description of the property, facilities and location were totally accurate. Giorgio and his helpers clean and maintain the villa and grounds to a very high standard, with Giorgio visiting at least every other day to clean the pool and attend to any necessary maintenance. He takes pride in providing a quality service which far exceeded our expectations, even to the extent of taking our hire car to repair a puncture late on the Saturday evening we arrived!! The instructions to get to Modica from Catania were very clear and Giorgio meets new arrivals at an easy to find location near the town centre. En route to the villa he pointed out local facilities such as take-away pizzeria, baker, butcher, fishmonger and the nearest (small but adequate) supermarket. The delicious prepared meal and most welcome bottle of wine on arrival provided the ideal start to our holiday. The cleaning team ensured our holiday villa was spotless and presented perfectly with a good supply of basic provisions. Throughout our stay Giorgio was attentive, obliging and helpfull but never intrusive. Security at the villa is excellent with a double gated entrance opened with 2 seperate electronic keys. Giorgio repsonded very promptly on the day there was a problem with the outer gate. We loved the beautiful pool and garden, safe for young children, with ample shaded areas and a large gazebo, ideal for al fresco lunches. 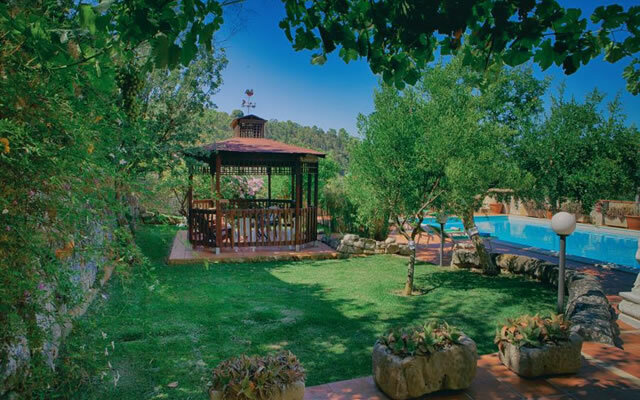 The villa's location is rural and peacefull but not secluded. The centre of Modica is just over 5 minutes drive away, but too hazardous to walk safely. Sicilan drivers have their own rules, they do not expect to encounter walkers except in town centres!! Modica is a friendly and busy town by day, a hive of bustling activity from mid evening onwards. There were few foreign (non Italian) tourists but most restaurants, shops and bars understood English. Many traders were disappointed that we tried to practice our rusty Italian!! Best (very good) value can be found in the pizzerias and trattorias, where the locals eat. Ice creams are a must!! The coast was a 45 minute drive, the better beaches being to the east of Marina di Modica. Submitted by admin on 08/23/2009. Juste de retour de 2 semaines en famille à Villamodica,je tiens à recommander fortement cette location. Nous étions une famille de 9 personnes dont un bébé de 15 mois. Mon choix s'était porté sur cette maison tout d'abord car je désirais ne prendre aucun risque avec la piscine et un enfant qui gambade partout. La piscine est à l'écart de la maison,les terrasses de la maison sont toutes dotées d'un portail qu'un enfant ne peut ouvrir. De plus la piscine est très grande pour une utilisation privée et est entourée d'arbres fruitiers:grenades,coings,citrons,raisins...et des pieds de tomates mûres à point,à notre disposition. La ville est à 5 minutes en voiture,et il est très facile d'aller se ravitailler. Ils sont là quand on en a besoin mais respectent totalement notre indépendance. Ils nous indiquent toutes les bonnes adresses;nous portent des figues. Tout est là dans les placards sel,sucre,détergents,pâtes......et dans le frigo bières,vin ,beurre,fromage,lait,oeufs etc...c'est vraiment extrêmement confortable . Nous avons opté pour la cuisinière Maria,2 soirs,qui nous a préparé chaque fois un vrai dîner italien:antipasti,primi,secundi,dolci..;elle repart quand tout est rangé;quand elle prépare on peut regarder et apprendre...j'ai pu apprendre à fabriquer des raviolis à la ricotta..tout ça pour un prix très raisonnable;moins cher que le restaurant ou nous ne prenions jamais autant de plats,et tellement agréable avec le bébé dans son lit qui dort calmement.